Piano Adventures® Player puts serious fun in the palm of your hand! 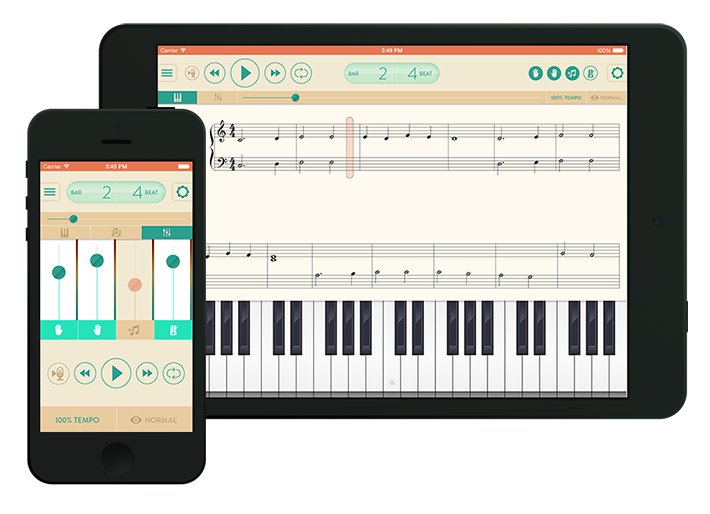 Nancy and Randall Faber, authors of one of the world’s leading piano teaching methods, are pleased to release a new mobile app that offers the convenience of a full MIDI player on your iPhone or iPad. The app provides easy access to interactive play-along accompaniments for the Piano Adventures method books — bringing an orchestra, jazz ensemble and rock band right to your mobile device. The user interface is elegantly designed, appropriate for all ages and instructional levels.